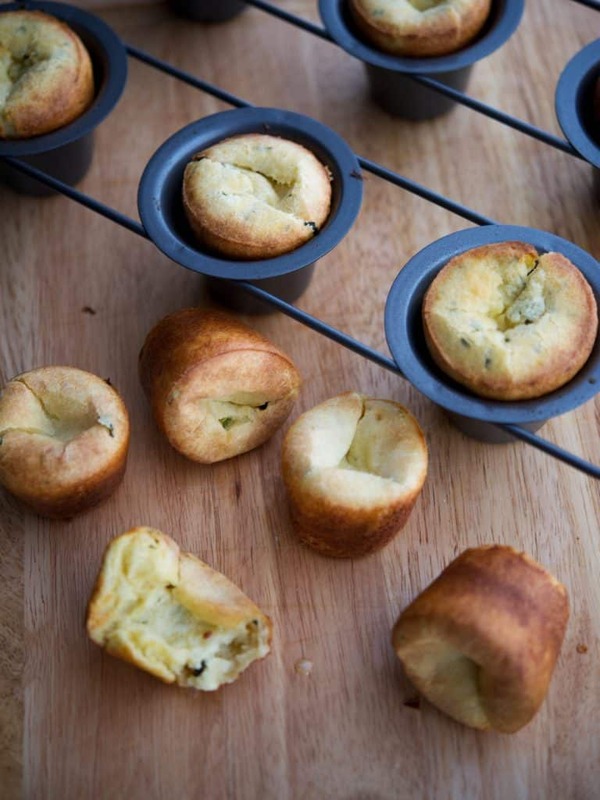 These Lemon Basil Popovers are light, airy and make the perfect addition to any family supper. My mother in law makes Yorkshire pudding whenever she prepares a roast beef for company and until I married into the family, I don’t recall ever eating it before. 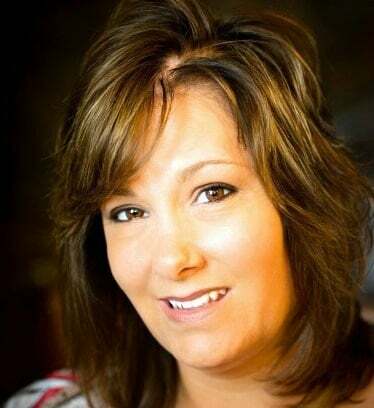 It’s a delicious batter type bread that she makes in a pie dish with eggs, flour, milk and LOTS of butter. I’ve never made Yorkshire pudding myself; however, I always wanted to try to make popovers instead; which are similar to Yorkshire pudding; however they’re a little lighter, have a hollow center and are made in a dedicated popover pan. OK, so anyway, I was at Chef Central with my Mom who was in from Florida and we were perusing the isles when I saw this popover pan. Kismet! I still had not tried to make my own popovers until I was reading the February issue of Family Circle Magazine where they shared a recipe for Herb and Asiago Popovers. I didn’t have Asiago cheese in the house at the time so I used their recipe as a base and came up with this lemon and basil version. 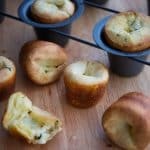 These popovers were insanely good, light, flavorful, airy and without all of the added fat from the butter. Yup…definitely going to have to make these again real soon. When making popovers make sure you only fill the tins halfway because they will rise…a lot! Also, make sure you preheat the pan first before pouring in the batter and don’t open the oven when cooking, you don’t want the popovers to deflate. 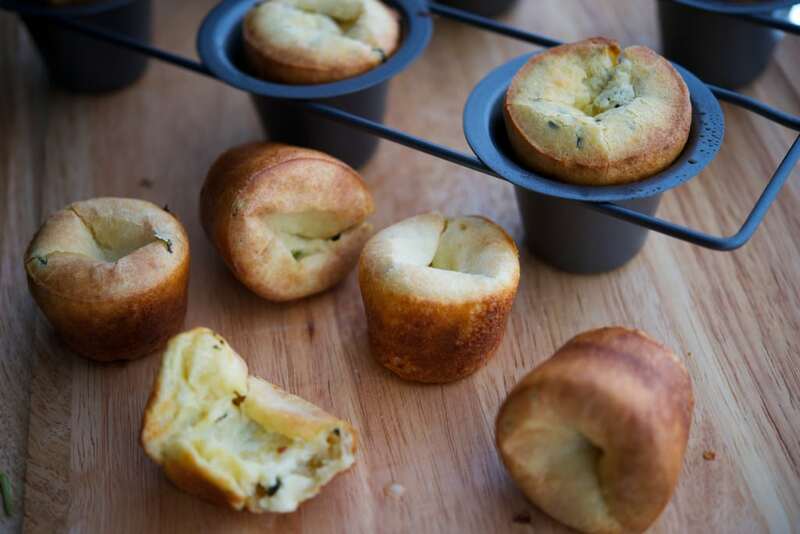 If you don’t have a popover pan, you can use a muffin tin; however they will make more popovers. ~Enjoy! Heat milk over medium heat in a small saucepan. In a large bowl, whisk together the eggs, basil, lemon zest, salt and cheese. Spray a popover pan with cooking spray and preheat the pan in the oven for 5 minutes. Take 1 cup of the warmed milk and slowly add it to the egg mixture in a slow, steady stream to temper it in with the eggs; then add the remaining cup of milk. (Be careful not to stir it in too quickly or the eggs will curdle). Next, stir in the flour until the mixture is combined and free of lumps. Remove the pan from the oven and pour the batter halfway up the side of the popover cup. Bake for 25-30 minutes until the popovers have puffed up and have turned a light golden brown color. These popovers look so light and flavorful. I’ve never made popovers before, but they look so easy and fun to try. Thanks Abbie, they were! This was my first time making them as well and I was really happy with the way they turned out. Thanks for stopping by and for pinning, have a good weekend!